The latest FTN95 and DLLs are available for beta testing via the following download link. This is for users who have v8.30 and want to test the latest fixes. The demo has not changed. It should be extracted to its own folder. Please be careful to create backup versions and make sure that each file is copied to the relevant installation folder. 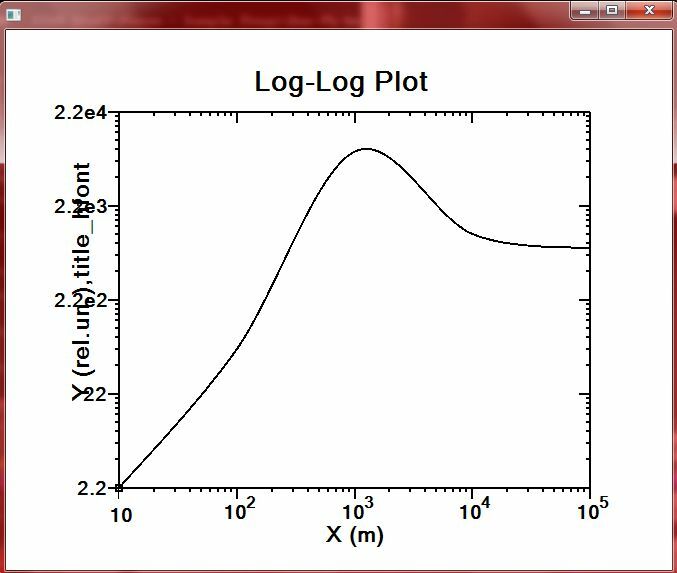 1) resizing plot with mouse works now OK but ultimately decreasing plot to zero size causes crash. 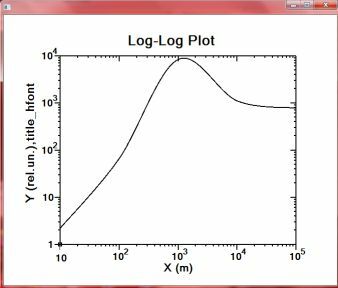 2) not clear how to change %PL "title" size/font only keeping all other fonts and sizes on axis intact, i get error "winop_hdl@ is missing"
3) simpleplot_update@ still crashes my code, I do not know where conflict is, is it with my log_linear plot or data, but I am close to prepare much smaller size demo. 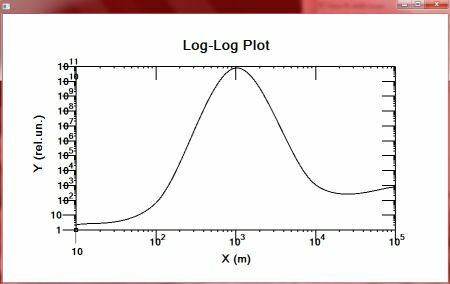 5) little bit a problem with alighning relative axis appears for the 10**n style log axis numbering if exponent value n varies in broad range from, say, zero to 20-30. It is good or much better now if n had the same number of digits. 6)frame line width now can be changed but as a matter of discussion how about making it automatically the same size as axis_pen by default? Now default is 1pixel. This will cover 99.999% of need of changing frame_pen because typically if you need thicker axis you need similarly thicker frame. The same depth sizes for axis and frame was a default in initial stages of native PL, to me it was enough, but then frame default was changed to 1 pixel. Thanks Paul, and this is a release with an impressive number of bugs removed. I went back to a number of my bug reports and tried the beta compiler on the test codes in them. Here is a list that other users may find useful. Am I right in deducing from the cwplus.enh file that, as far as clearwin+ is concerned, this 'beta' version is just the same as dlls23 (for v8.3) with just the addition of the last 2 notes concerning 'improvements' to the windows handles definition of graphic regions ? 1. the scales on each axis are different ! (scientific on X-axis; exponential on Y-axis !!! 2. the Y-axis label still overlaps the axis labels !!! 3. if you re-size the window, even just slightly but also for any size change, then the scales styles switch ! i.e. 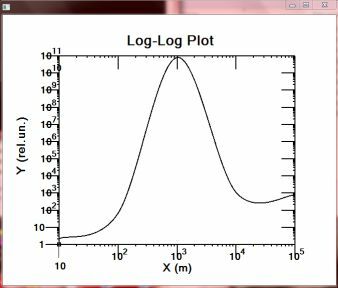 scientific on Y axis and exponential on X-axis, with on X-axis the strange spacing (not powers of 10) appearing ! 4. on the other hand, the problem of overlapping Y axis labls disappears ! 5. you'll also notice that the curves are still somewhat less than 'suave and sophisticated' - I could be mistaken but I thought there was anti-aliasing by default for native %pl ? I also tried adding 'grid_lines' as a %pl option (on a winop@) and it failed saying it was an invalid option ! Just a few morsels to add to the 'to fix eventually' list of th work in progress. Major of course is the crash of simpleplot_update@ which looks like due to some internal corruption of plotting engine which violates array boundaries. Working several weeks already to make the test demo for it. Dan ... I DID use the code above !!!! Well I did ... nd I didn't ! See later comment for full explanation. I actually used tohe ORIGINALLY posted code which was subsequently changed. The things I listed above we have for the most part seen before, although the sudden change of scale types on expansion I hadn't noticed. I've also just added above that the 'smoothìness' of the curves leaves a lot to be desired - I thought anti-aliasing was default for native %pl. Note - (1) it would be good to re-name this post with a ' - %pl' at the end and the new one ' - General' or similar) to avoid the type of confusion we had with (at least) x 3 'Native %pl' posts. Unless someone will confirm your plot (you still took my source before I made edition to emphasize my points above) seems you need to reinstall FTN95 and the update. All defects you show I see as being fixed. As to Clearwin+, my opinion voiced here many times is that for well being of this compiler and even Fortran as a language in general the utilities like Clearwin+ and OpenGL made as ultimately user-friendly as in Matlab is more important then development of just the Fortran as a FORmula TRANslation language. Surprise, but the CWP is more important then the pure FTN95. The proof is elementary: the users base of Matlab is 100x larger then combined one of all Fortran varieties. Among younger generation this factor might be even higher. And the difference between Matlab and Fortran is ? Professional integrated graphics at ultimate simplicity done in one line! And additional 10% gives integrated math libraries and 1% cooler look. This 1% percent by the way brings the same amount of users as all Fortran have. Additionally for the FTN95 in particular as a FORmula TRANslation language the important would be future support of multithreading in OpenMP and MPI forms and ability to autoparallelize and debug multithreaded programs. Second major thing was 64bit support and it is basically now almost done. John, I think that there is something mixed up regarding which file you used to produce the plot and which compiler version you used. Add to that the chances for more error that producing images, uploading them to a cloud server and including the URL in your post. Here is what I find. FTN95 Version 8.1 does not produce a plot, giving instead an error message, "frame_pen= is an invalid %PL option". 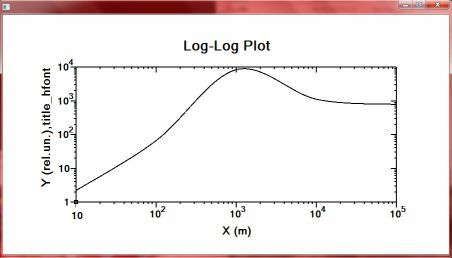 The plot that you showed does not correspond to the plotted point coordinates. 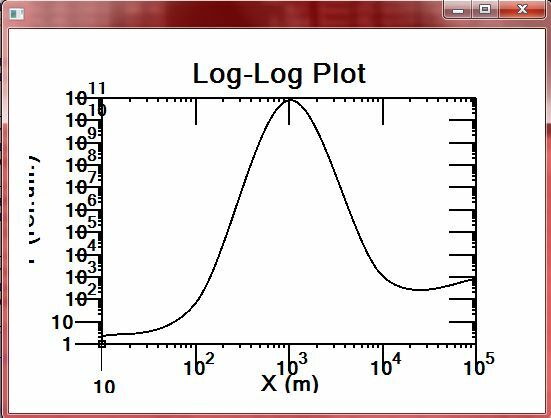 For example, the peak Y-value is given in the program source as 8E10, but your plot shows about 8E4. When you compile and link at the command line, the compiler and linker display their version numbers. Please check those numbers, as well. "... (you still took my source before I made edition to emphasize my points above) ..."
The images were correct - I've now added the code actually used to my earlier comment, leaving it as it provides a refererence. NOTE - that as I stated previously, I used v8.3P+dlls23. This was because I was awaiting a response to my prior comment about whether or not the beta169 was in fact (as far as Clearwin+ is concerned) the same as v8.3+dlls23. It appears it's NOT as following results in later comments show. Why it is different I don't know, except for the last 2 notes in the new .enh file, which I can't relate to the improvement (in the scales both being scientific) now obtained, and the lines missing from the CLEARWIN.INS (see below later). Well it would because unless I'm mistaken 'frame_pen' was only introduced in v.8.3 dlls23 (and in subsequentlybeta169 ! 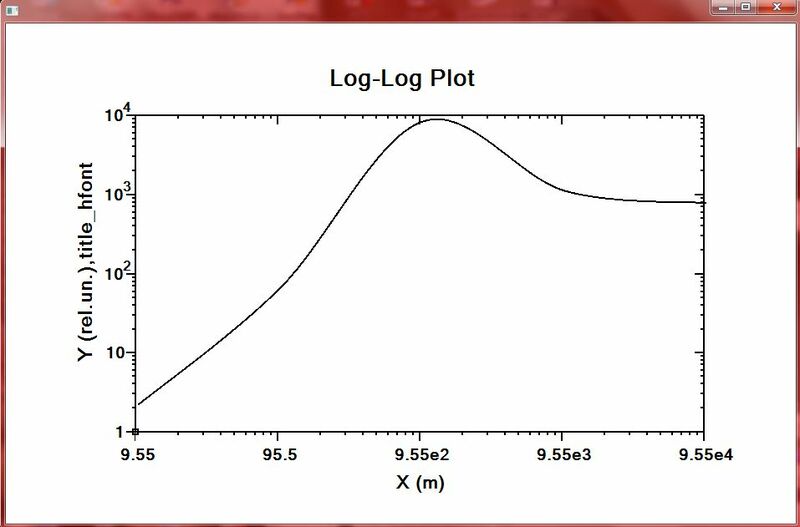 Thanks for pointing out the difference in plotted data -v- the coded data, your prodding was what made me check line by line the code I was running. As I mentioned above this is because I had copied the original code posted and not the modified one. As mentioned above, I had already stated the version being used. So anyway, I have now installed the full beta169 (and modified the .INS to include the missing declarations code (as described on the other parallel post)). Here below are the revised resulting plots, both before and after re-sizing. As we can see the scale styles are now both the same (scientific). This is good. The problem described earlier by Dan of only the major tic marks being re-sized is evident via his increase in size of the major ones and only those changing. It is also evident however that the positions of the tick labels are not re-adjusted for an increase in tick length. This is not so good. It appears then that the adjustment of labels is not done when there is an exponent (>1). There's another debate, should the values 1 and 10 not be 10^0 and 10^1 respectively ? Iwould say yes. As for the curve quality (jaggedness) see below seperate comment about how to resolve it. Paul, It would be useful going forward to understand why the behaviour has changed relative to that obtained with v8.3+dlls23 when on the face of it the changes listed in the new .enh file are the same except for the addition of 2 relating to declaration of 3 functions which on the face of it would seem not directly related to the %pl changes. The download includes a new clearwin.ins but not the corresponding mod files. Declarations (bindings) for new routines can be extracted from clearwin.ins. Please note the following corrections to files in this download. 1. Could the omission of the lines in CLEARWIN.INS be related to any particular recent problem(s) encountered ? 2. The instructions given relating to the first line (about the Clearwin MOD file(s) (updated) not being included in the beta release) is, for amateurs like myself a little 'light'. The download includes a new clearwin.ins but not the corresponding mod files. Declarations (bindings) for new routines can be extracted from clearwin.ins . Indeed if any of the 'new commands' introduced in this beta are used and appear not to work then the associated lines in the CLEARWIN.INS file should be cut-and-paste -ed directly into your code . 3. I also have one supplementary question regarding the ensemble of the dlls & libs in the ftn95 install directory. what exactly are these files, related to using clearwin with 3rd party compiler ? If so doesn't that mean any changes are not reflected in those files and hence not implemented for use with other compilers ?